I decided to paint this fella for Ladystorm's contest a couple months ago, and then promptly forgot about him until this past Saturday. 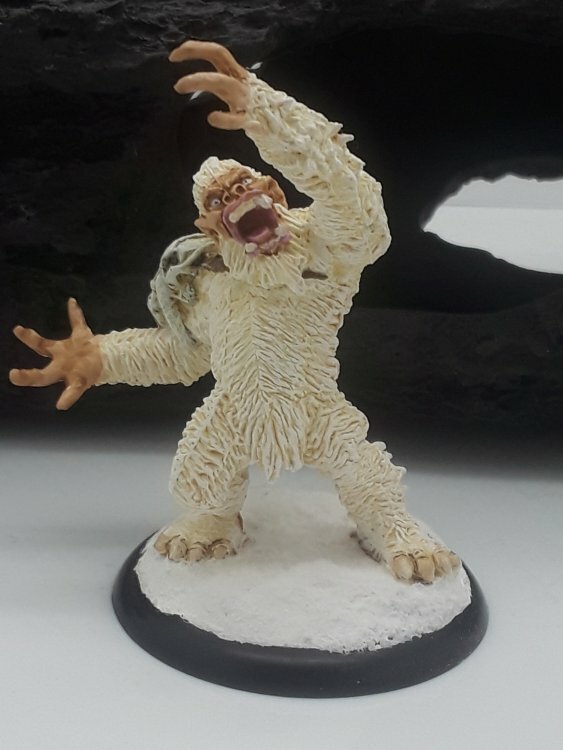 So here's my semi-rushed, totally tabletop but still fun to paint Yeti chief. 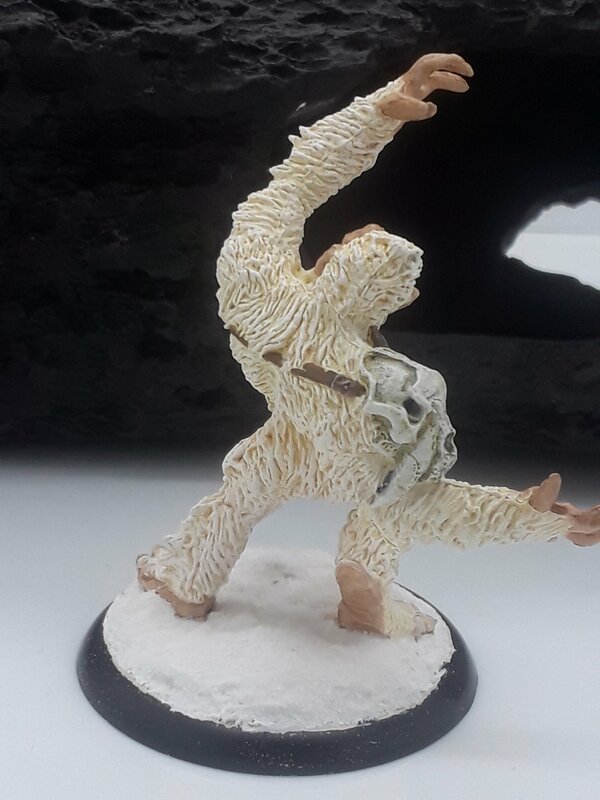 I was hoping to achieve that polar bear not-quite-white-but-sorta-yellowish-white look for him. I think it worked out alright, but I have an idea to try to improve upon it in the future. 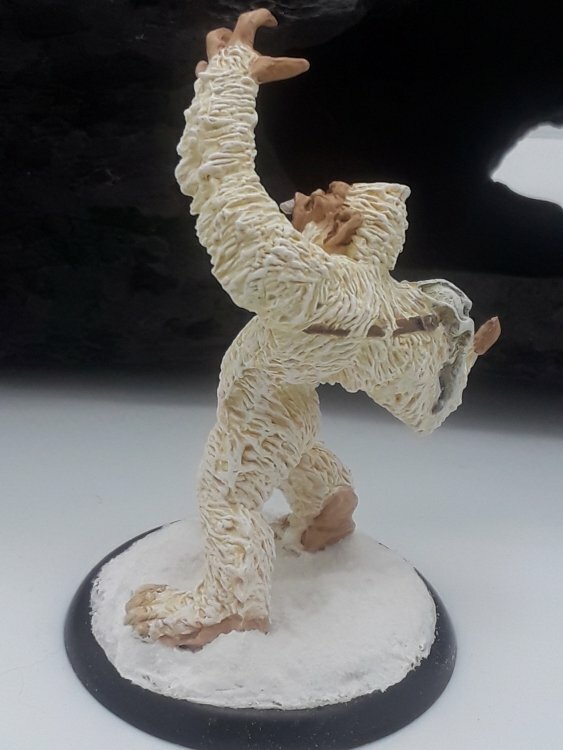 I think you got closer to the polar bear look than my attempt before I painted over it - mine went far more yellow than that so good job having way more restraint than me. 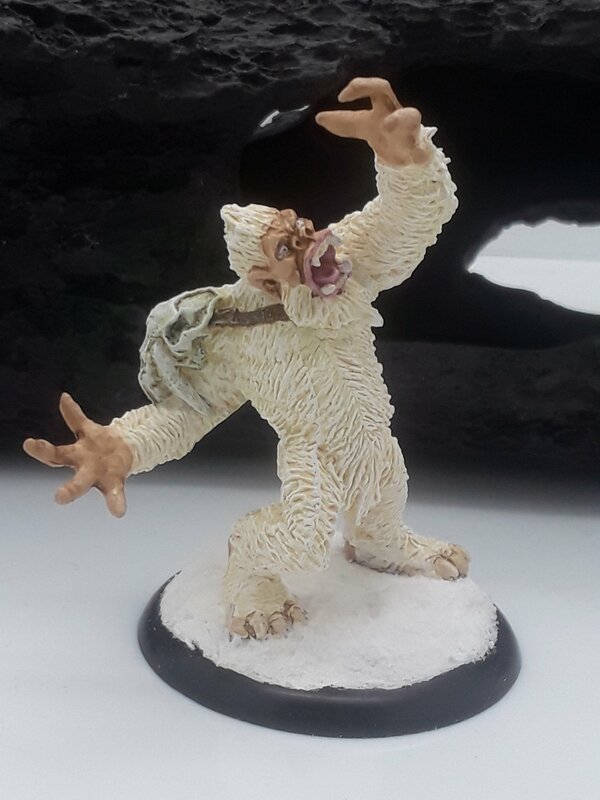 I think the skintone goes really well with the fur colour as well and you got in some nice details. 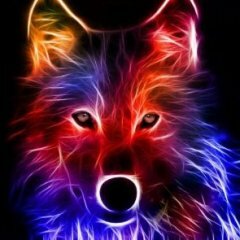 And you got your entry in just in time! And you're not kidding about just in time; it was still drying in those pictures.